Rob Neil was at Whenuapai for the RNZAF’s annual Open Day. An outstanding day’s fun, flying and entertainment was made all the better by the welcome return and participation of Australian and American allies. Avalon Airshow in Melbourne is the THE airshow event in the Southern Hemisphere and attracts displays and trade exhibitors from around the world. 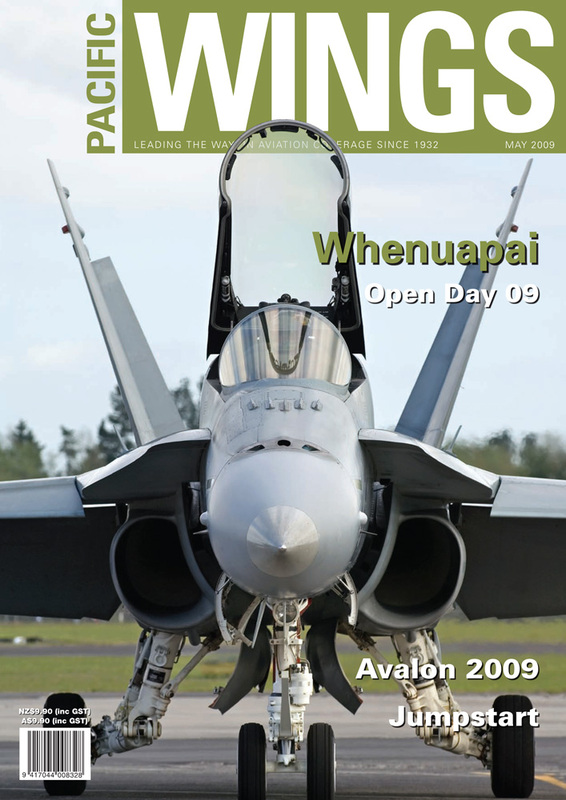 Andy Heap and Rob Hynes were there to capture the display action for Pacific Wings in 2009. Technical Perspective: AERO 2009—What Recession? As the rest of the world listened to the newspapers and bowed to the media’s doom and gloom about the global financial crisis, exhibitors, visitors and organisers of AERO thumbed their collective noses at the pessimism and made AERO 2009 bigger and better than ever, as Mike Friend reports. Flight Lieutenant Phil Randerson provides an insight into the annual “Jumpstart” programme, in which ill and disadvantaged young people get the opportunity to skydive with civilian jumpmasters from an RNZAF C-130 Hercules, supported and supervised by the RNZAF Parachute Training and Support Unit (PTSU).